Sought to find an online third party risk management solution that could improve efficiency and streamline their processes. Headquartered in Boston, MA, and with assets of approximately $1 billion, Radius Bank is an innovative, full-service bank with clients nationwide. Radius Bank uses various vendors to provide them with services that are complementary to their strategy and goals and were finding it difficult to manage all of the data needed on those vendors to adhere to industry regulations. They quickly recognized that their method at the time of using Excel spreadsheets to manage their third parties was no longer sufficient and wanted to find an online third party risk management solution that could improve efficiency and streamline their processes. “We saw the wave of the future with all the information on third party risk management coming out and knew that we needed to get ahead of it before it became an issue,” said Tracie Kosakowski, SVP, Chief Compliance Officer. As an innovative bank, Radius Bank are well versed in today’s technology and knew it was important to find the right partnership that would fit them perfectly. Radius Bank got started by quickly getting setup with Venminder’s software platform and using the firm’s certified experts to review their vendor’s financials and SOC reports. Tracie also said Radius Bank found that using Venminder for reviews helped to reduce the workload, save time and therefore increase their efficiency by condensing a lot of data into exactly what they needed to focus on. 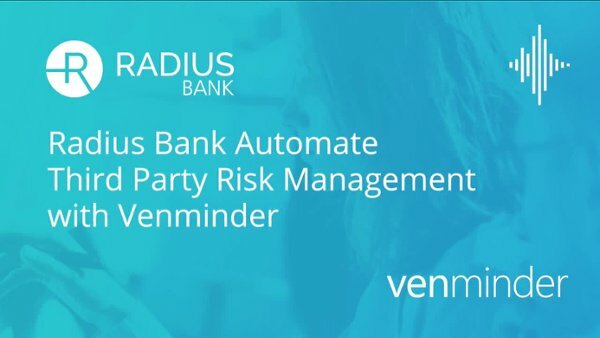 Since partnering with Venminder, Radius Bank has been able to drive big improvements to their overall third party risk management program. Tracie noted that today, sound third party risk management practices is a must - poor exams or an issue with a vendor can be very costly in many ways. With over $8.6 billion in assets, First Tech Federal Credit Union is one of the ten largest credit unions in the United States, serving more than 425,000 members nationwide.